Let's talk about the divine sounds of Beethoven -- and the divine sounds of Bach. Why? Because today's tournament concertos are the Beethoven Violin Concerto vs. the Bach A minor Concerto! Most of us revere this work as one of the most perfect, golden-spun pieces of music devised for the violin and orchestra. But when it was premiered in 1806, audiences cast it aside as inconsequential. Even the violinist who performed it, Franz Clement, felt the need to spark up the premiere performance by inserting pseudo-circus feats between movements, playing a little ditty on one string of his fiddle, turned upside-down. Fortunately for fans of the violin, the concerto came back to life nearly 20 years after Beethoven's death, when Joseph Joachim, who was 12, performed it with Felix Mendelssohn conducting. It's a popular piece, and Wikipedia lists 19 violinists who have written cadenzas for the work, though there certainly are more. 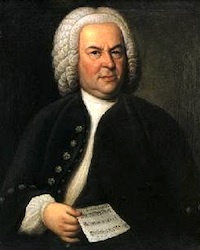 Bach wrote a number of violin concertos, including his double concerto and his concerto for violin in E major. The A minor concerto was written in about 1748, and many violinists play it today because of its inclusion in Suzuki Book 7. Bach was a violinist, and this concerto is delightful for its clever writing. To play it is to negotiate a fast ride full of twists and turns, even a few thrills. To listen is pure pleasure. I voted Beethoven but I will always have a soft spot in my heart for the Andante of the Bach A minor. This was simple. The Bach concerto is great but Beethoven is something else. The original Heifetz & Toscanini recording (the OLD one) is what I cut my musical teeth on. I wore out three lps as a child and it's the piece that sent me toward the violin in the first place. I can still hear that particular recording now, some (gulp) 50 years later (it was older than I). 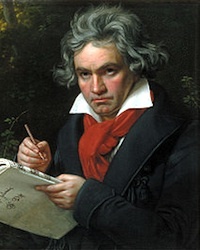 The Beethoven has been an enduring friend for my whole life. I remember the first years of learning it, working on the octaves and trying to make musical sense of such a grand piece. And now, it still remains one of my favorite concertos after many, many performances. There were some pretty bad times with it in the early years but now I hear it differently than ever before. It is one of the great musical gifts for violinists. I loved the Bach for more than a decade before I started learning the violin. Such wonderful music, but I had to go with Beethoven on this one. Old Johann deserves a good pounding for knocking out Mozart anyways. This was actually a tough choice for me! In the end I voted for Bach because I have known and played that one for years, being a Suzuki student myself. Beethoven is definitely a classic, though, and one every violinist should work on at some point. Why do these voting rounds have to be so difficult?!?!?!?! Ah this vote was so difficult. The Bach Andante makes you weep.....the Beethoven though is so much the epitome of the perfect violin concerto. Such a tough choice. I just love this contest! In that video at 6:23 she appears to have some kind of metal ring on the thumb of her bow hand? The Beethoven. BTW, if you watched the Grumiaux video and you heard annoying thumping noises, it was the podium. Every time Antal Dorati shifted his feet, the noise was amplified by the hollow box he was standing on. You would think the sound engineers would have taken care of that during rehearsal.